Hey babe, how are you doing? I’m a little busy at the moment as I’m catching up on work like crazy. Missing my Macbook for a week really set me back. I’m also a little stressed and I’ve been snacking way too much! 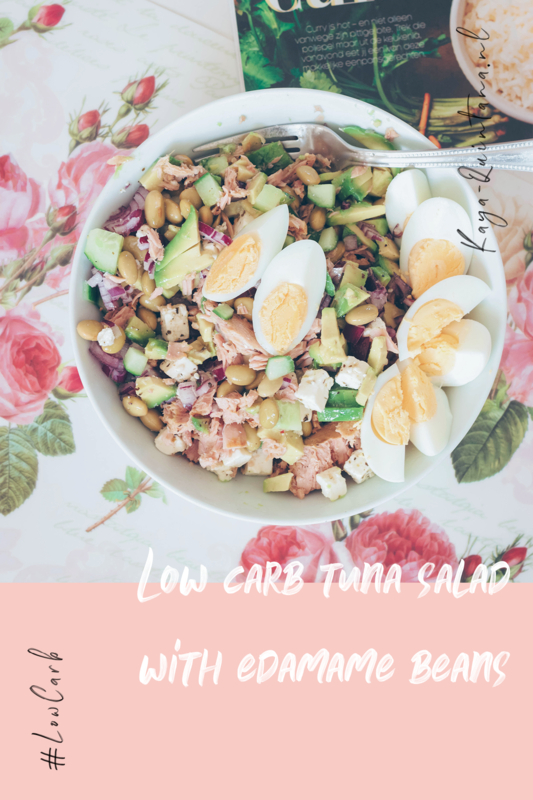 That’s why I’m trying to balance it out with some healthy meals, like this low carb tuna salad with edamame beans. I’ve been loving these beans for a while, since they’re very low carb and perfect in salads. 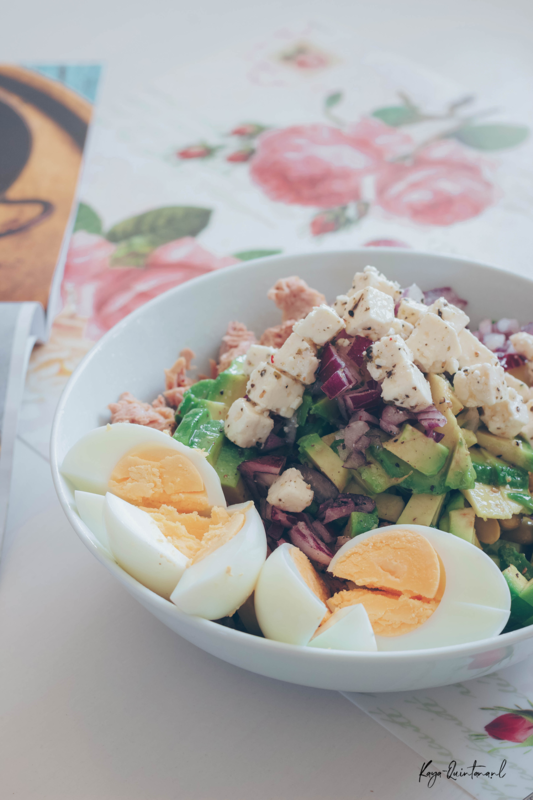 This salad is also very easy to make, and it will provide you with some good greens and proteins. Let’s make some salad! 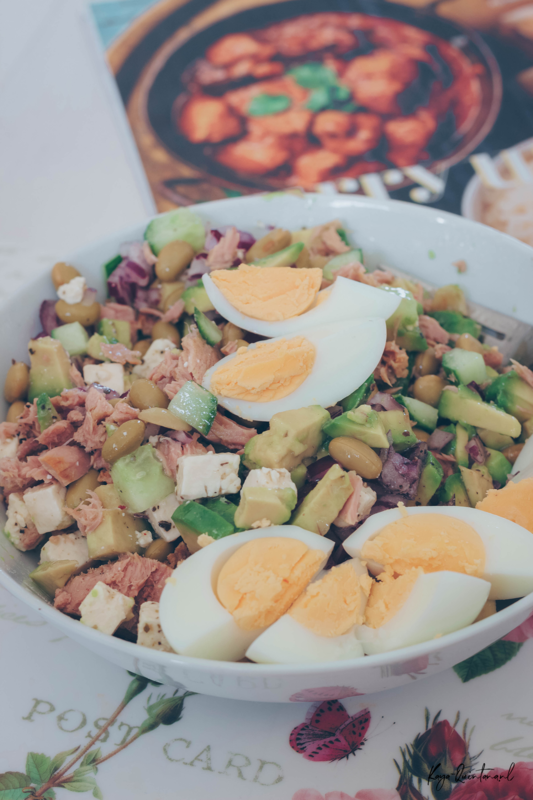 This salad is so easy to make, anyone can do it! Start by chopping up the cucumber. I like dicing it and use it as a fresh base for this salad. Drain the can of tuna of the water or oil and toss it over the cucumber. Next up is the avocado, which I also diced for this salad. Avocados have a butter texture, which I like in a salad. It also adds a bit of creamy-ness, which makes a salad taste even better. Now it’s time to add about 60 grams of edamame beans. I got mine from a can, because it’s easier to store them that way. These four ingredients are the base of your salad. Now you can add some tastemakers like the red onion. Which I finely chopped so I can have a bit of it in every bite. I love the sharpness of red onions, so I added a lot it. 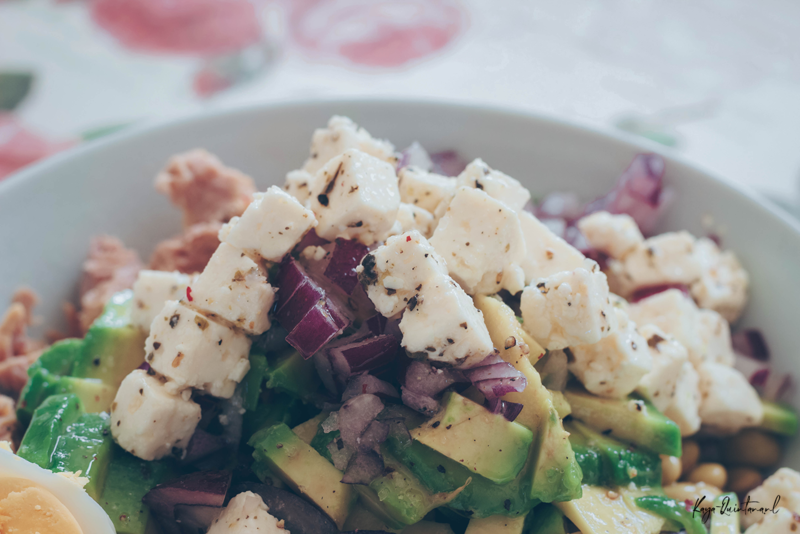 The white cheese cubes provide some extra texture in your salad. As they are pretty firm and a bit chewy in a good way. I used white cheese cubes kept in olive oil and herbs. 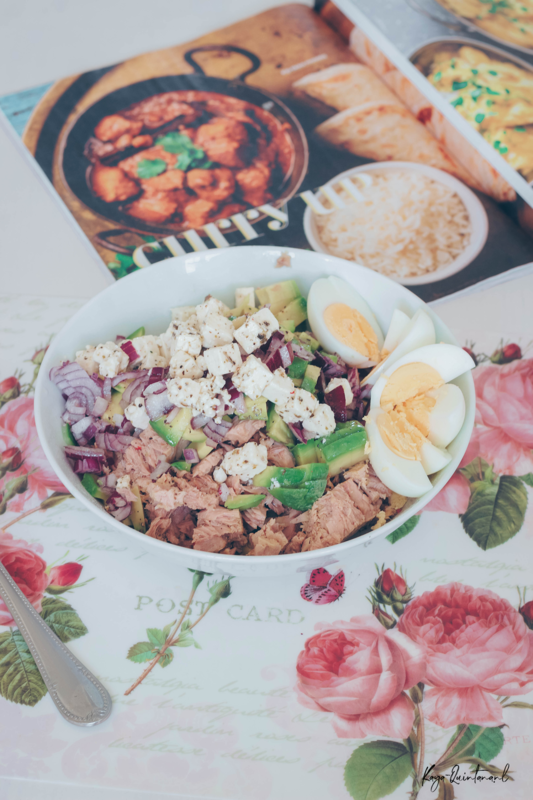 This gives the tuna salad a Mediterranean vibe, yum! Now it’s time to sprinkle some olive oil on top of the salad. Make sure you add salt and pepper to taste. 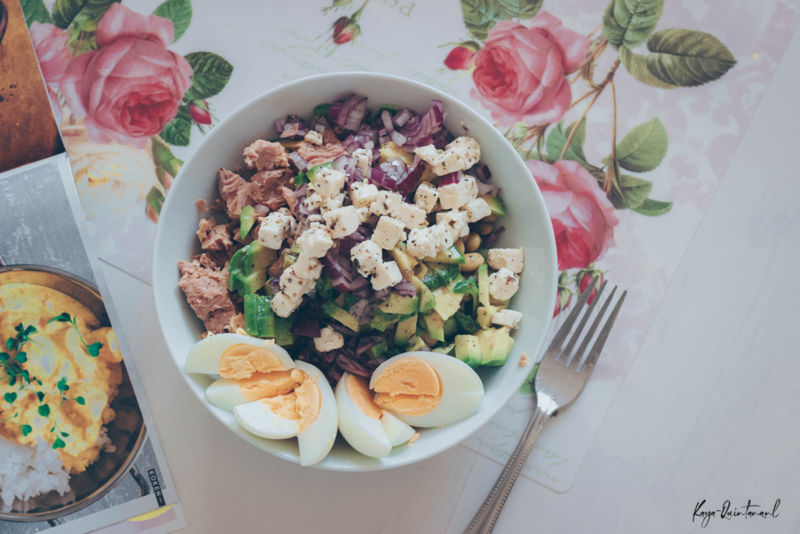 Add some boiled eggs for extra protein and you’re good to go. 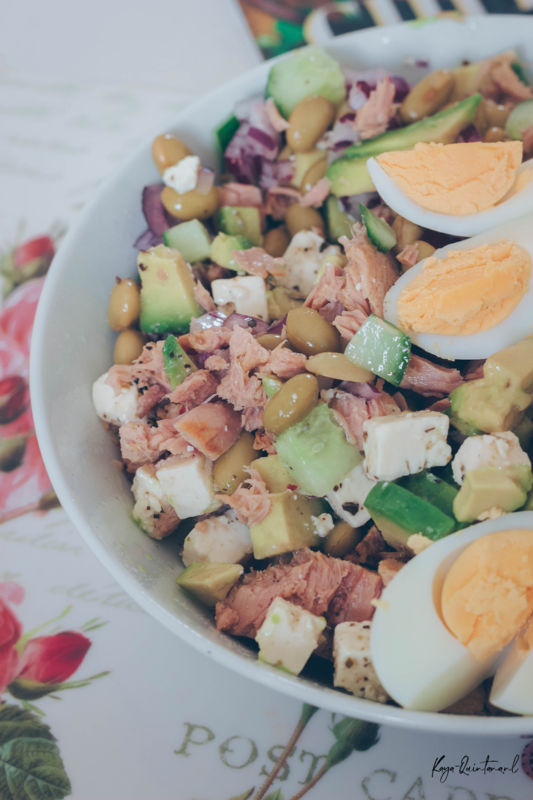 I personally love the simplicity of this salad, as it’s so easy to make. You don’t have to hassle over a difficult dressing. 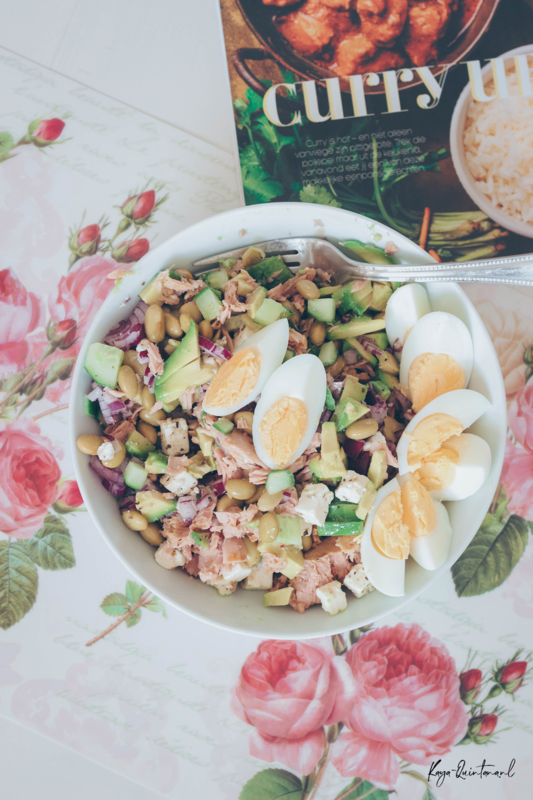 This salad is also easy to pack up and store in your fridge for a few days. Now let’s talk macros: 12 grams of carbs for the whole batch. 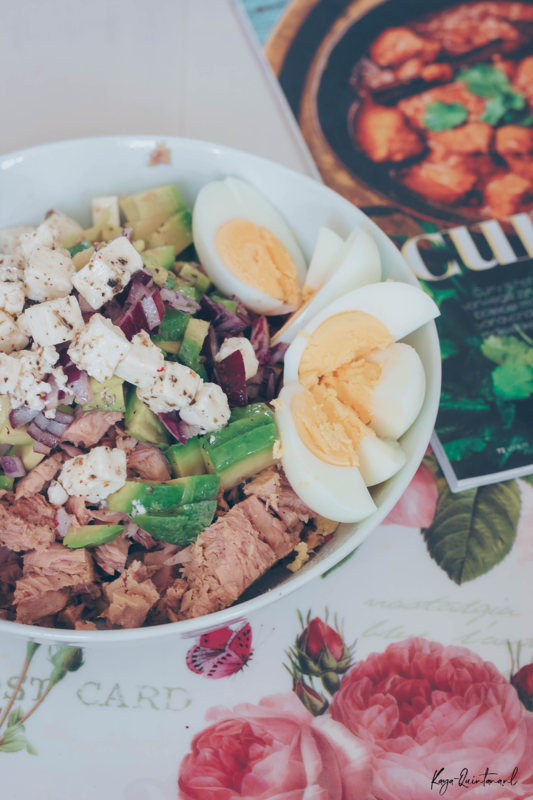 98 grams of fat and 75 grams of protein, which totals in 1315 calories. Divide that by two or four, depending on how many portions you want to create. You can use less or no avocado if you want less calories, since the avocado contains the most calories. Now it’s time to dig in and let me know how it tastes! P.S. 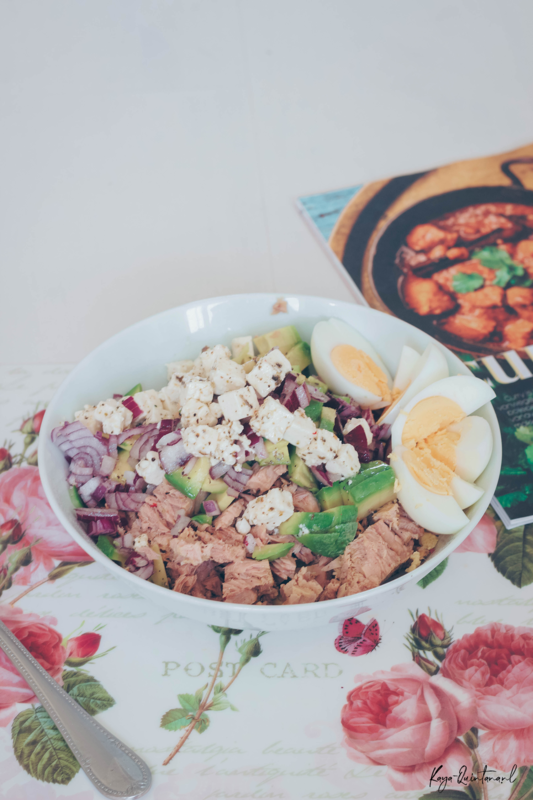 Follow me on Instagram for more low carb recipes.